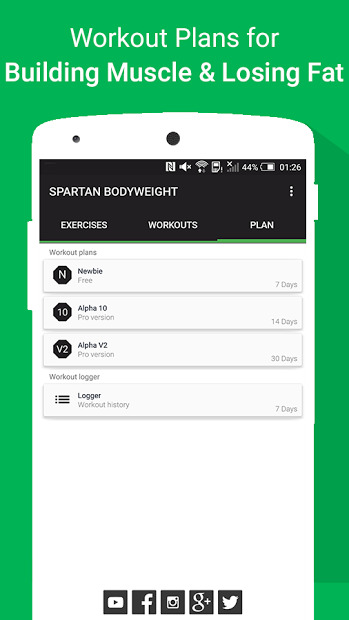 Get fit with The Spartan Bodyweight training app, that doesn’t require equipament to train. 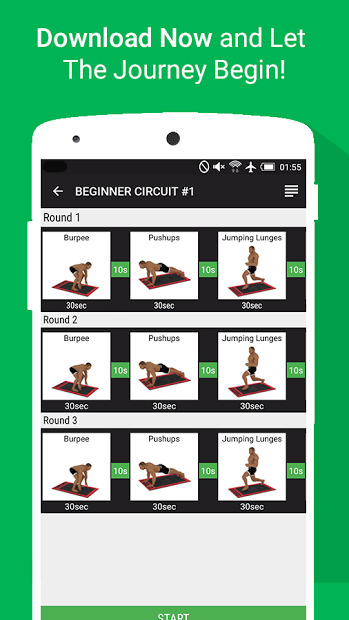 You can find workout routines for beginners and athletes and each workout is video followed for you to follow and know how to do the exercise. 48 exercises in total to work full body. There are two types of workouts, with timer and reps. The timer workout contains a timer that will inform you when the round/rest starts and finishes. The reps workout type work by pressing ‘DONE’ on the bottom of the exercise, and when you want to start the exercise press ‘BEGIN’. Get in the best shape possible at home without equipment. No more excuses about the gym =). Connect it to a Chromecast for more comfort, so you don’t have to be looking for the phone while doing the exercise.